Luigi Scoglio is an Italian Set Designer; was born in Basel (Switzerland) on July 17th 1973, having completed his studies at the State Arts Institute "E. Basile" in Messina (Sicily), goldsmith’s art section, he moved to Urbino where he attended and graduated at the Academy of Fine Arts, Set Design section, with honors with a degree entitled “Luminous Metamorphosis, theoretical-practical evolution on expressive features of light in the Twentieth Century Theatre”. He currently works as a set designer, in Theatre (Opera and Drama), movie and advertising, both in Italy and abroad. 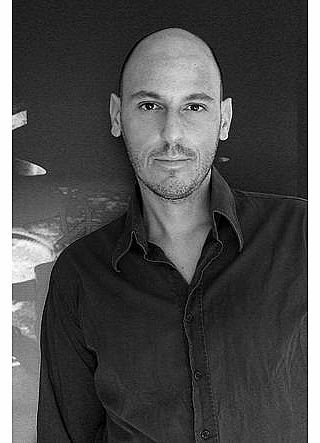 Since 1999, he diligently collaborates as a set designer with opera companies, theatre companies, theatre directors (Luca Ronconi, Michał Znaniecki, Mario Corradi, Rosetta Cucchi, Italo Nunziata, Fabrizio Crisafulli, Anne Riitte Ciccone, Denis Krief, Patricia Panton, Giorgio Rossi, Paolo De Falco, Natalia Babinska), Italians and international artists in the fields of opera, drama, experimental Theatre, dance theatre and musical theatre. For seventeen years he has developed a fruitful artistic partnership with Maestro Michał Znaniecki, joining him in its most important productions of opera and drama across Europe and other continets. He’s also involved in video installations, photography, installations and visual design of composition of art exhibitions and events related to the set design in the form of show or event. In 2010 he was nominated for Best Production Designer in Poland, for the musical The Producers - season 2008/2009 (Teatr Rozrywki – Chorzow). In 2011 won the first prize of opera in Spain, with all his creative crew, in the category for best production of the year, with Onegin (Opera Krakowska cooproduction). Projects season 2009-2016: Poland: The Producers, Ernani, The Fairy Queen, Onegin, Candide, Spain: Ernani, Onegin, Italy: Candide, Tel Aviv (Israel): Ernani. La Plata (Argentine): Onegin. Switzerland, Poland: Demetrio-King of Siria. Montevideo (Uruguay): Onegin. Buenos Aires (Argentine): Hagith. Spain, Poland: King Roger (2012). Poland: Our House (Musical). Naples: Onegin. Trondheim: Carmen. Split: Mefistofele. Krakow: The Love for three oranges. Naples: Trovatore (dec. 2014). 2015: Tigre River (Buenos Aires): The Fairy Queen. Poland: Billy Elliot (Musical). Budapest: Faust. (Italy): Pagliacci. Wroclaw (Poland): The Fairy Queen – open air on Lesnica Castle. Krakow: King Roger. Tel Aviv: Il Trovatore. 2016: Tigre River (Buenos Aires): The Tempest. Poland (Szczecin): La Traviata. Čeljabinsk (Russia): Onegin. Budapest: The Spinning Room. Buenos Aires (Teatro Colon): Night Flight /The Prisoner.